Close up's pivoting magnifying mirror invites you to breathe into your daily well-being. 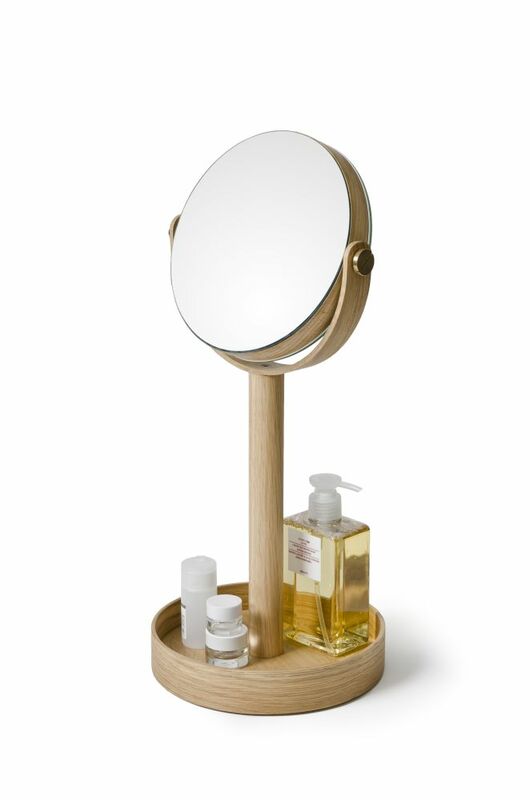 Close up offers a choice of plain mirror on one side, or a x5 magnification on the other, standing on a round edged base that can be used as a tray to hold your personal items. Made from sustainably harvested, solid American white oak and oak veneers - natural or dark finish - with a matt, water resistant lacquer. The bamboo variant made from sustainably harvested, honey colored bamboo from the Angie Mountains of China, also finished with a matt, water resistant lacquer.